This week I have read the 3rd chapter of world architecture. This chapter is focused on The Aegean in the Bronze Age and New Kingdom Egypt. In Bronze Age, different civilizations started to settle down to different parts of the world. Around 1500 BCE, the Aegean and central Anotolians started to settling down near the landscapes that is mostly rocky. One of the islands located in the Aegean, which is called Crete, was very peace- loving civilization and singularly open. The interesting thing about Crete is that the women had a very important role in the society. For instance, they had central role in affairs of state and also in religion as well. They had a deep belief focused on sacred hilltops, miracle trees and mysterious grottoes. This beliefs influenced architectural approaches as well. Their architects used large and raw stones and also cyclopeans masonry to build their structure. So that, they could make them seen like they have occured with natural processes. These structures thought as they built by giants later on. In this age, the architects started to design their buildings with an indirect circulation to give rise to their legend of the Labyrinth. On the other hand, Mycenaeans and Hittites, built their cities with stones. Because they wante to have more fortifications. Another different culture that has awaken on Crete was Minoans. They called as “ninety cities” however, only couple of them was large enough to be called as city. The biggest one was Knossos. Minoans were very peaceful society like the other civilizations on Crete. Thats why they did not build walls to protect ther city. Because they did not give importance to defense their city but communication. So that, they built towers for society to communicate and create a network and protect their whole island. In Knossos there was a huge complex for religious approaches located on the upper edges of the city. This religious place known as the labyrinth later on. The Egyptian governors, redirected their ceremonial life. 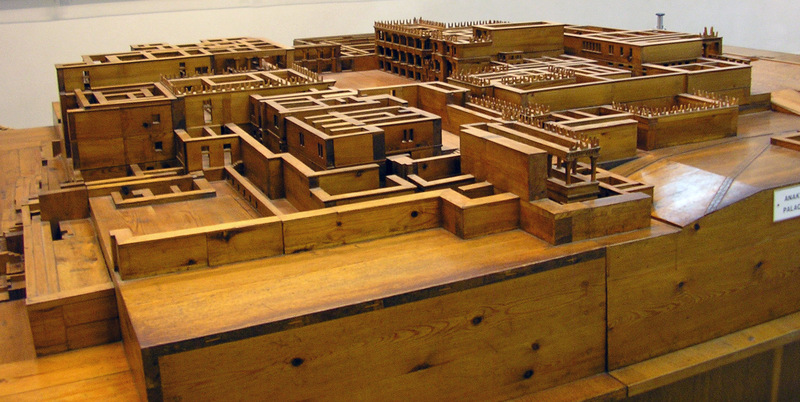 They built a brand new city which is called Thebes, for their religious approaches. The city as two huge temples called Karnak and Luxo and a burial grounds called Deir el-Bahri known as the temple of Queen Hatshepsut. They have a great compositions of huge columns, colossal statues and especially hypostyle walls full of colour. It has a very basic system called post and lintel system.